The Masurische Grenzstellung is one of the most interesting defencelines in Poland. To understand why the Germans built a line here one needs to know something about the area. 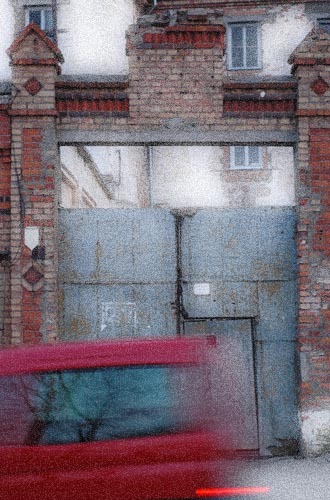 Entrance to a deserted prison in Ełk, one of our homebases in 2007.